Munnar the majestic hill station in south India and often referred to as “The Kashmir of South India” is one of the prime tourist attractions in India. This hill station is considered as an ideal honeymoon and vacation travel destination and this place is visited by a large number of travelers throughout the year. The tourists comes from different parts of the world and by each passing days, the number of travelers visiting this exotic hill station in south India is on the rise. The amazing travel facilities at Munnar are something that prompts travelers to visit this place again and again in their life time. Apart from its natural beauty, flora, fauna and other natural resources, one of the most important thing that Munnar is famous for is the Neelakurinji flowers which blooms only once in 12 years. Biologically known as “Strobilanthes kunthiana”, this flower has a bluish shade and while it blooms, it makes the hills of Munnar look blue, which is one of the best sights to watch. There are also various sub species of Neelakurinji flowers which tends to bloom annually to once in 16 years. But the main species of Neelakurinji blooms once in every 12 years and this will be the time when more travelers are attracted towards Munnar. As of now, there are a lot of places and hills in Munnar where you can see the Neelakurinji flowers in full bloom and these places had their last Neelakurinji blooms in 1990 abd 2002. Most of the years, there will be some locations in Munnar where you can see the Neelakurinji flowers and this is something worth watching, as you will rarely see this flower in other parts of India. 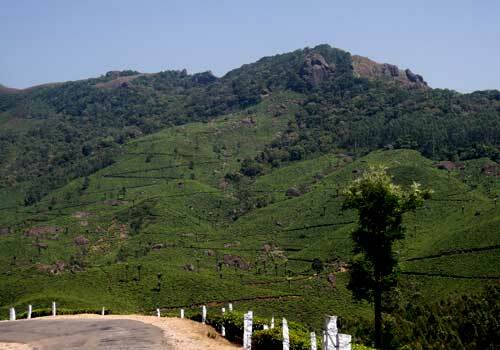 Munnar recieves the largest number of tourists during the time when Neelakurinji flowers blooms and a lot of revenue is generated during that time. Munnar hosts around 45 species of Neelakurinji species and a common person cannot really identify between each species. But overall it will be a great spectacle to watch them. People of all age love to visit and watch the amazing sight of Neelakurinji flowers. It is not the local people, but people from other places who mostly visit Munnar during the time when Neelkurinji flowers bloom. The fact is that Munnar simply gets more beautiful during this time and travel enthusiast really keeps on eye on when the Neelakurinji Flowers bloom and plans the travel trip accordingly. If you are lucky, you can spot Neelakurinji every year on various locations in Munnar and while planning or booking your trip to Munnar, you can really have a word with your tour operator regarding this. 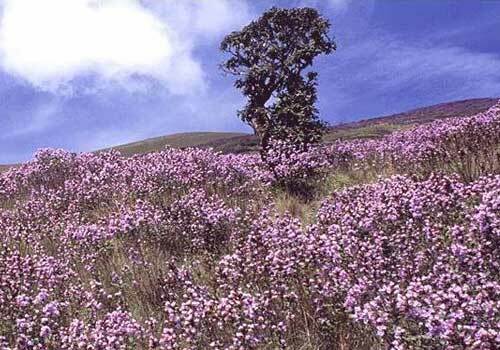 The tour operator can suggest when to visit Munnar so that you can watch the Neelakurinji flowers at its best. This entry was posted in Munnar and tagged neelakurinji flowers, neelakurinji flowers munnar, neelkurinji flowers 2014. Bookmark the permalink. It must be a lovely sight. These flowers have entered so many stories and poems.